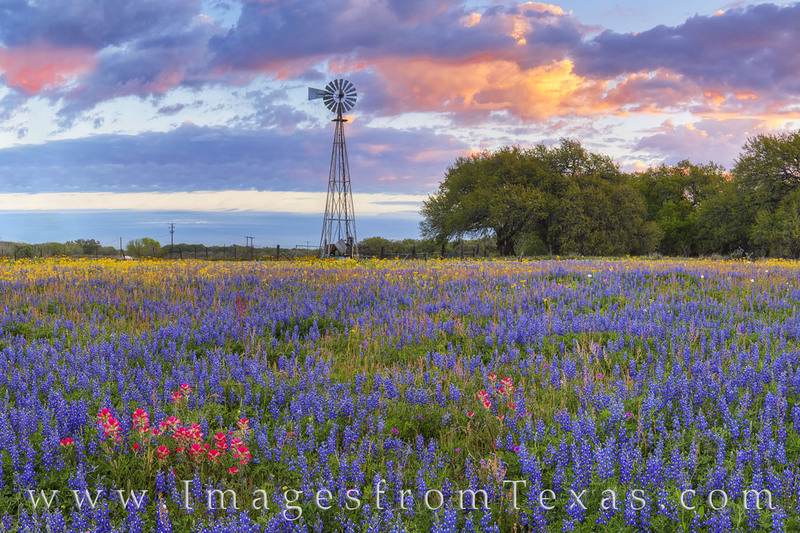 A patch of red Indian Paintbrush nestles in a larger field of bluebonnets in a field south of San Antonio. This spring morning saw low clouds drifting overhead while a windmill reaches into the cold morning air. This wildflower photograph was taken on private land with persmission from the owner. Photo © copyright by Rob Greebon.